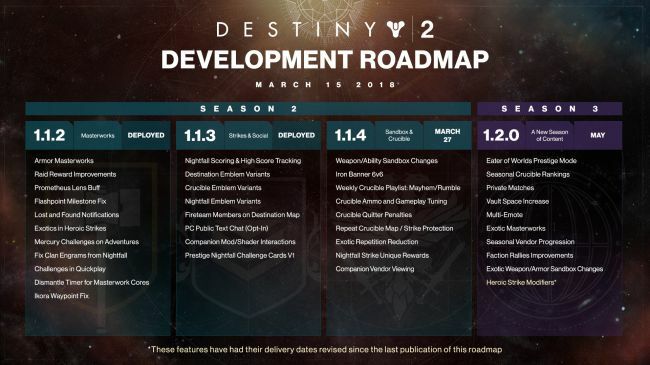 Bungie has very slightly updated the Destiny 2 development roadmap. Bungie has posted a new update to the Destiny 2 development roadmap, and I'm happy to say that very little has changed. 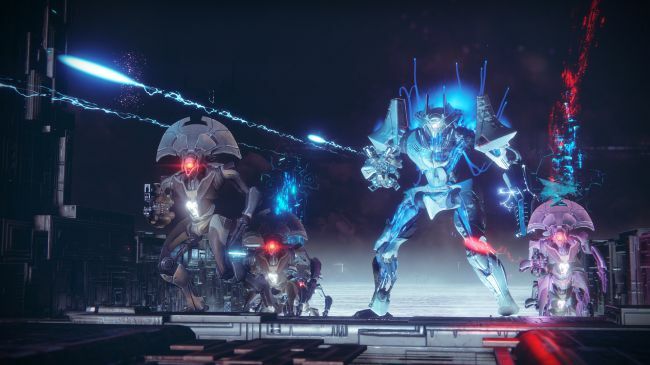 Just one thing, in fact: Heroic strike modifiers, which were expected to arrive on March 27 as part of the 1.1.4 update, have been pushed into season 3, which will begin in May with the 1.2.0 update. 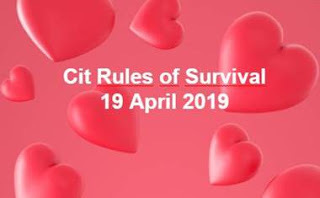 More information about the 1.2.0 update will be revealed in April. We took a closer look at the 1.1.4 update last week.